Entry level administrative assistant resume is the document you need when you are inquiring for a professional work much higher than a regular secretary. It is a job that covers a lot of area from accommodating clients, managing files and other administrative task in an office. Generally an entry level administrative assistant is the junior assistant in an executive officer’s department or office and works under the directions of a senior assistant. Those who are new to the job or hold limited experiences in working as an executive administrative assistant, apply as entry level assistants. You may also see Executive Administrative Assistant Resume. Are you about to apply for the same position and looking for good ideas on how to craft a pulling resume? There are entry level administrative assistant Resume Templates in Microsoft word, excel or pdf format today that you can download in an instant. 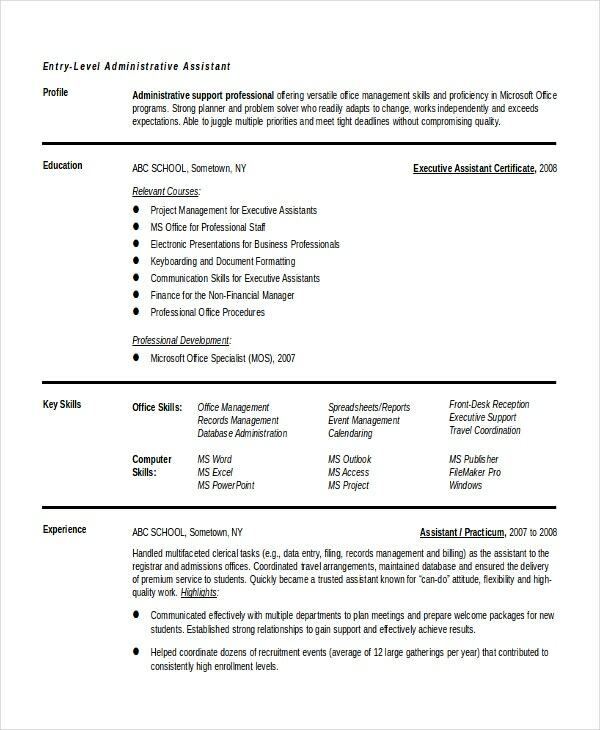 The article here details further about entry level administrative assistant resumes. 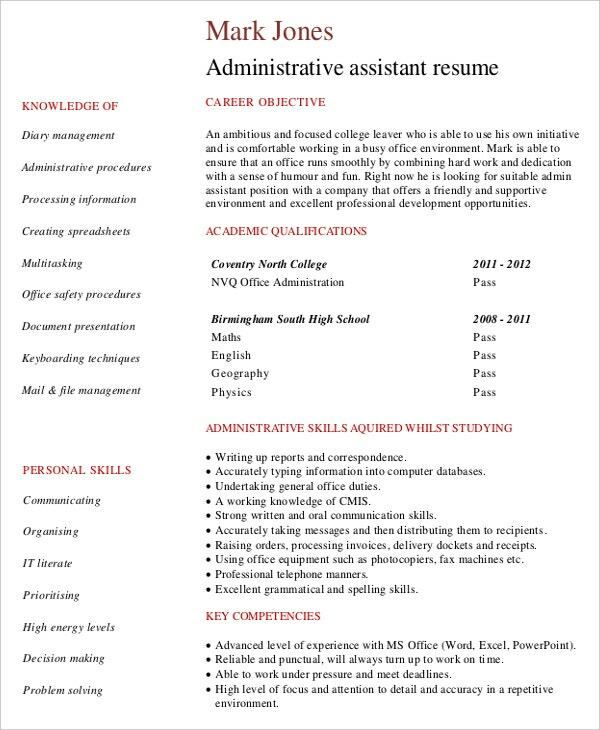 An entry level administrative assistant functional resume template will mostly highlight on your abilities and skills relevant for the job. 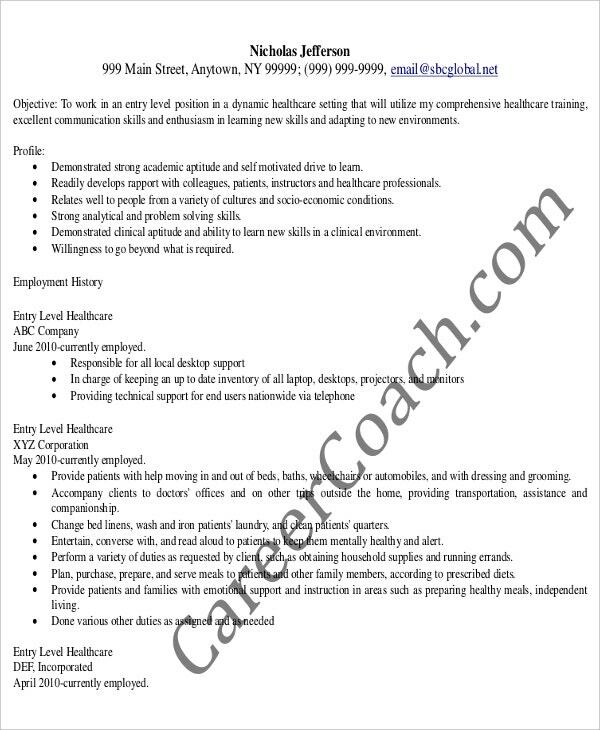 An entry level administrative assistant combination resume template will mostly focus on your abilities and skills relevant for the job but also would state your past professional experiences as an assistant in chronological order. You will find entry level administrative assistant resume templates for specific professions like medical or legal. The entry-level administrative assistants are responsible for handling the maximum part of the legwork of the administrative tasks under the supervision and guidance of the senior assistant in the office. They are also supposed to handle the duties of Administrative Assistant Resume Template receptionist, customer care representatives, data-entry clerks & these professionals provide the basic support for the administrative department of an organization. 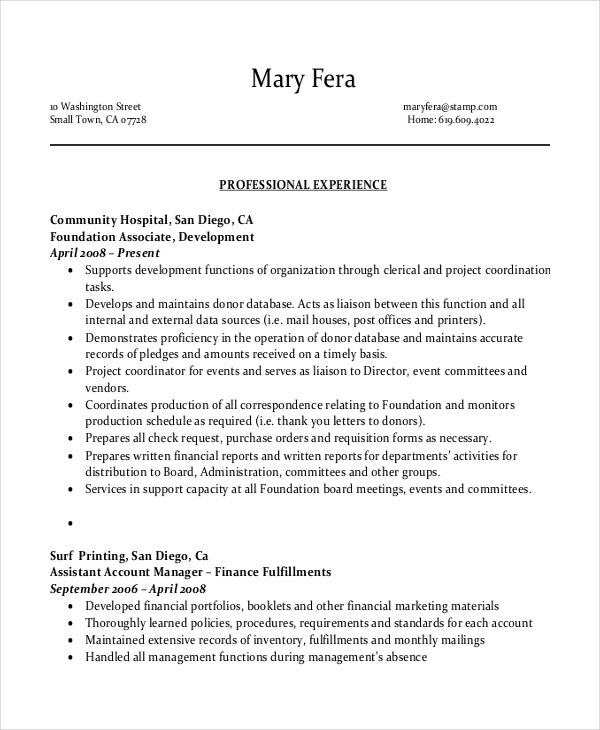 > Why to use entry level administrative assistant resume templates? 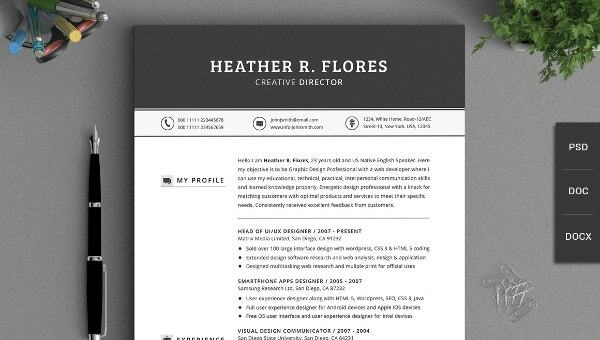 Such a resume template comes with a ready made layout you can easily use for your application for the said work. You will get a proper idea on the right format to use for an impressive entry level administrative assistant resume. 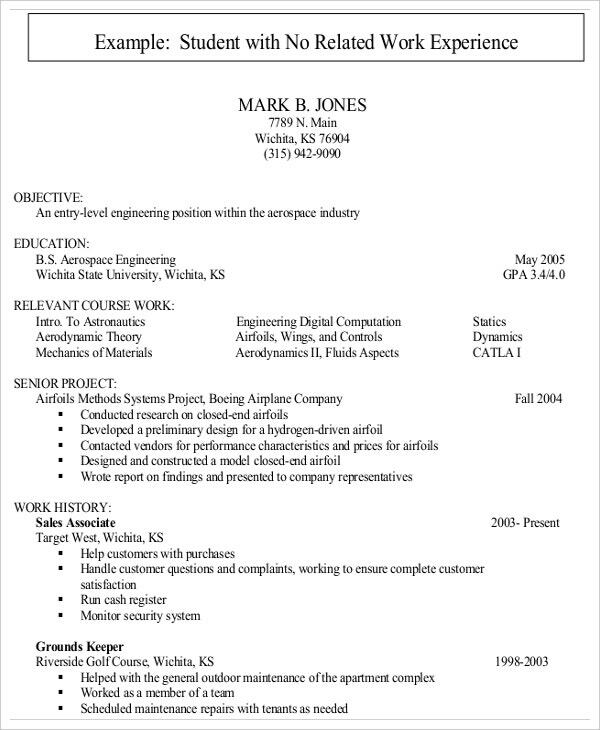 These Best Resume Templates to Download can be modified easily and you can add your pictures, list down your entire past job experiences and skills that is required for the vacant job with ease here. 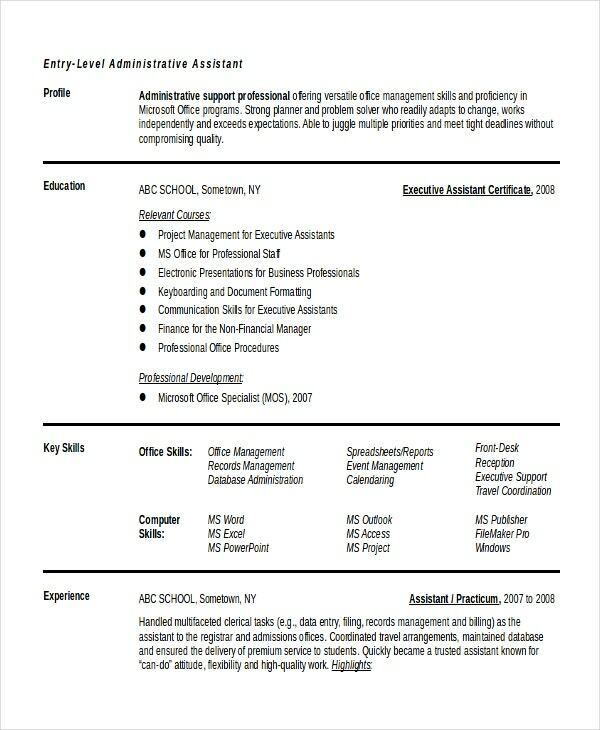 Use entry level administrative assistant resume templates Word. Use functional resume if you are a fresher or has planned to switch to a new career over your existent career. Use combination resume if you have previously worked as an assistant for any other organization in the past.